OLYMPIA – Sen. Reuven Carlyle (D-Seattle), chair of the Senate Environment, Energy & Technology Committee, has introduced one of the nation’s most robust and comprehensive privacy protection measures to strengthen consumer access and control over personal data held by companies and the government. 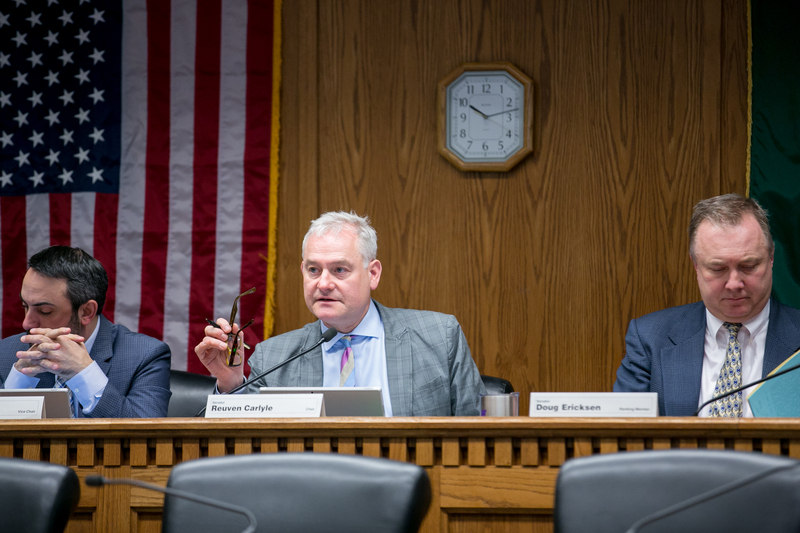 The Washington Privacy Act, Senate Bill 5376, would give Washington residents tools to determine how their personal data is used and shared, and sets out steps companies must take to prevent practices that might compromise the security of personal information. The act also would limit how companies and government can use facial recognition technology in order to prevent it from being irresponsibly deployed. “Washington’s economy and social fabric is framed by some of the premier technology companies in the world, and we’ve enjoyed unimaginable public benefits as a result,” Carlyle said. “One of the positive ripple effects of being a technology-driven state is that we have developed a profound sensitivity to advanced public policy regarding the responsible use of technology as a force for good. More than ever, it is essential that our state – as home to some of the leading technology companies in the world – ensure we are a thought leader in designing and developing a responsible regulatory framework around how personal data is generated, collected, stored and sold in the marketplace and by government. The Senate Environment, Energy & Technology Committee is scheduled to hold a public hearing on the bill at 10 a.m. on Tuesday. Click here for an overview of the legislation. Click here for the Washington Privacy Act FAQs.